If you haven’t had a chance to check out the fantastic show, Art for Social Change, at the Yellow Springs Arts Council, it’s worth a visit! 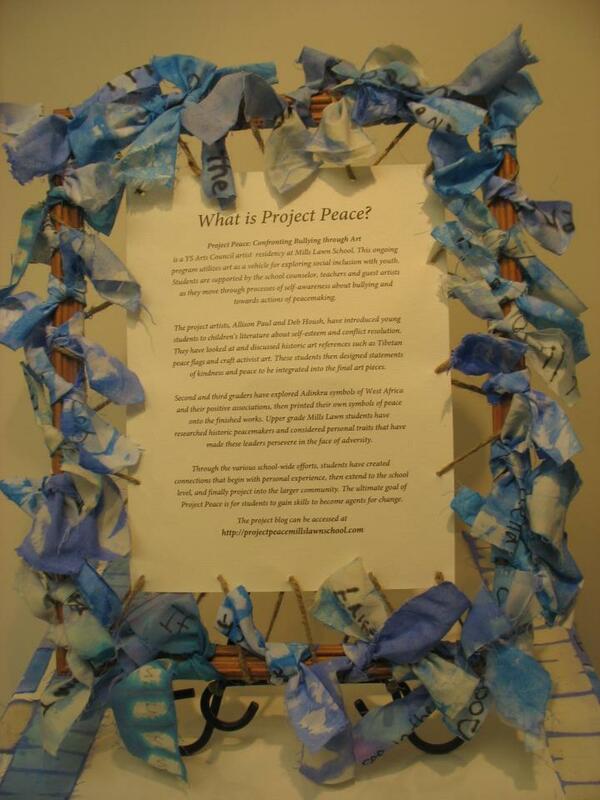 Project Peace has a display as well detailing the project and inviting the community to join us for the opening of our school-wide artwork at Antioch University Mid-West on March 24th 2-4pm. I am so very thankful that my children attend a school so dedicated to their students:) Thank you Mills Lawn for educating my children on so many levels.